Went for a brief walk in the woods last weekend & found some golden chanterelles. These are by far my favorite wild mushroom. 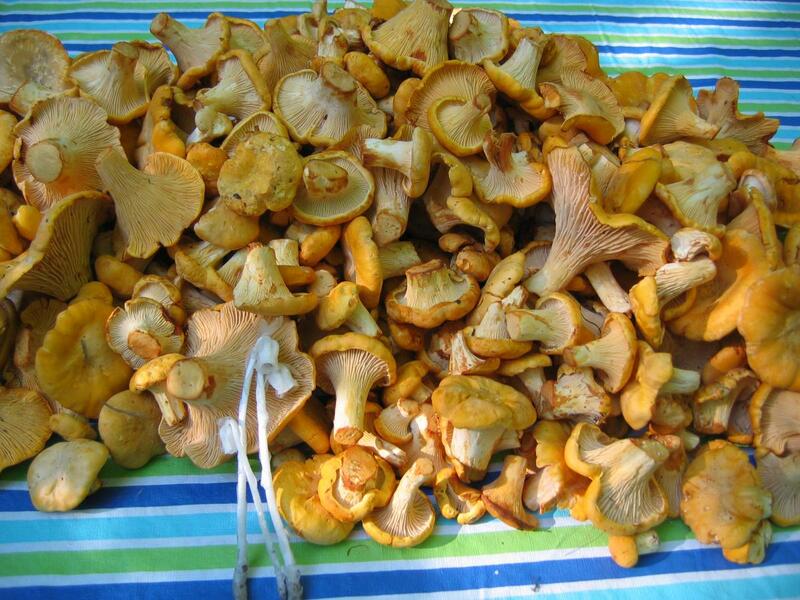 Unlike some other wild mushrooms, chanterelles are normally pretty insect-free. In other words, there are no hitch-hikers crawling out of the mushrooms & into the frying pan. They smell like apricots & taste darn good. Tags: Catskill Forest Association, Catskill Mountains, chanterelles, Mushrooms, wild edibles Categories: What's New?